The engraver pen that engraves almost any surface in seconds. Works just like a pen! 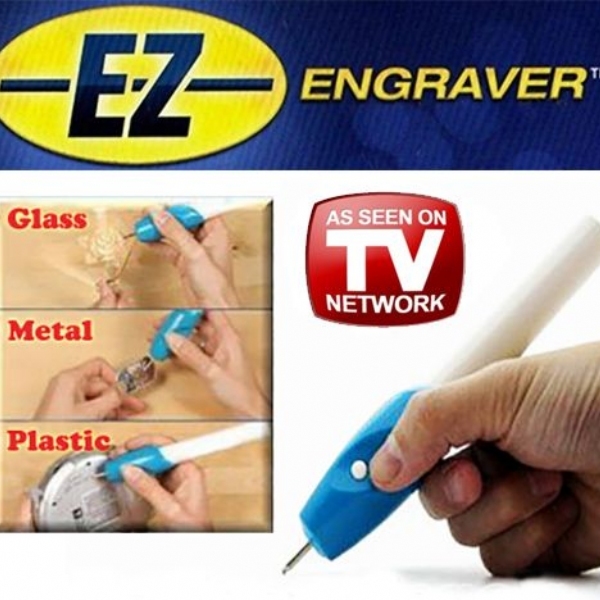 Power Advantage EZ Engraver Engraves almost any surface in seconds Works just like a pen! Engrave practically any surface: wood, metal, plastic, glass, leather and more. Safe and easy to use, you will love personalizing keepsakes and valuables. Protect your expensive property by engraving your details onto it; allowing law enforcement to recover and identify stolen property- engraving is the only tried and trusted method during theft. Not bad. Pretty standard but great price.